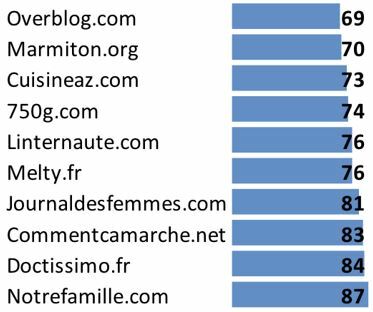 Based on a representative analysis of online traffic, the Search Dependence Index® by My Media Group evaluates the search engine dependence of the top 100 French websites identified by Médiamétrie/Netratings. 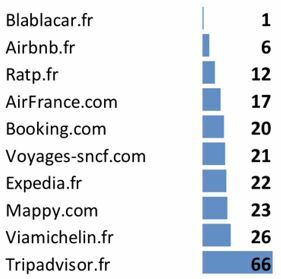 fr, Showroom-prive.com, Blablacar.fr, Leboncoin.fr and SFR.fr are amongst the top performing brands. 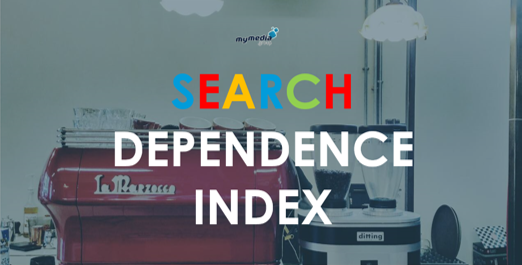 Levallois-Perret, the 20th of March 2018 – My Media Group, leading independent media agency in France and in SEO consultancy, announced today the launch of their Search Dependence Index (S.D.I. 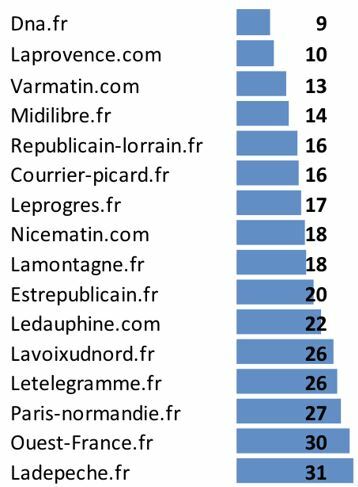 ), an indicator that measures brand dependency on search engines, particularly Google that represents 94% of French web searches. François Lienart, Studies director for MyMedia Group explains: « An old saying tells us that all Roads lead to Rome. The world has changed, and we are forced to recognize that, now, all roads pass through search engines, particularly Google! Indeed, even when a surfer knows the brand’s name, very often they type the website name into the search bar. Yet, in France, 90% of the time, this search engine is called Google. Consequently, any website that wants to drive a minimum of online traffic and potential clients needs to be “Google-compliant”. But due to the fact that Google changes regularly the rules, brands and content producers are pushed into a “Google-dependence”. Amongst the least dependent brands. 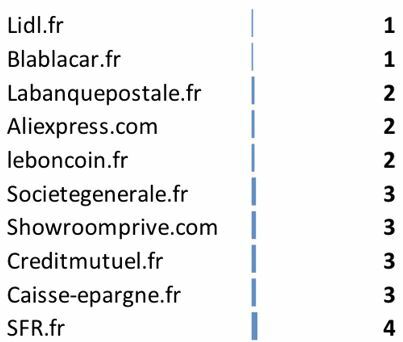 The websites Lidl.fr, Blablacar.fr, Labanquepostale.fr, Leboncoin.fr, Societegenerale.fr, Showroomprive.com stand out with an S.D.I. 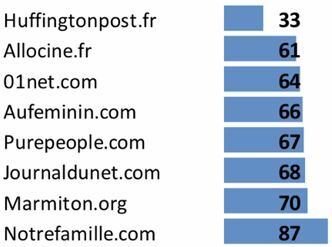 score between 0 and 3 whereas the average score of the 100 most visited websites in France is 34. Press. Digital press has contrasted results. 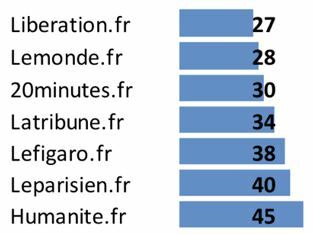 The daily national press obtained an average score of 35 ; News Magazines a score of 50 ; Daily regional press got the best score of the media field with an average S.D.I. of 20; finally, radio and television websites obtained an average score of 31 when pure player media got 41.One of the revelations of this barometer is the position occupied by daily regional press. With a particularly low score, daily regional press translates the traditionally close relationship they have with their readers. The strong inclination of readers to privilege digital press is reinforced by the strong presence on social media, which contributes to customer loyalty. Banks. The bank market shows homogeneous results and the best score of all fields with an average of 7. 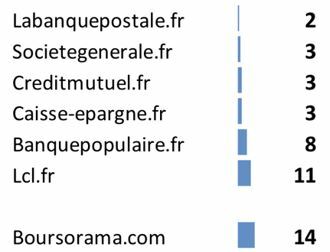 Traditional customer loyalty to their banks is confirmed by their digital variants and the usage of these websites is clear (consulting bank accounts). Retail. Retail brands obtained an average S.D.I. of 21. However, there is a large gap between brands that are clearly established as leaders and those facing agressive competition. 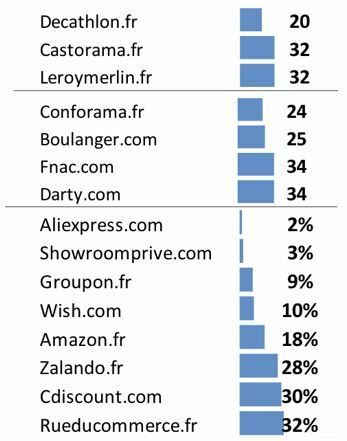 First of all, Online purchasing Pure players (Aliexpress.com, Showroomprive.com, Wish.com, venteprive.com) show an excellent search engine independence score ahead of traditional actors (Carrefour.fr, Auchan.fr, Boulanger.com, Decathlon.fr) and travel agency websites. Secondly, DIY sites obtained an average S.D.I. of 29, we must note that the American giant Amazon.fr showed an S.D.I of 18. Retail brands illustrate the S.D.I.’s general tendency. The more generalist the business and the tougher the competition, the less potentially dependent the business is. This way, the food retail brands, perfectly identified in their market and up until now, not threatened by new digital competition, obtain an under average S.D.I. (Ex: Carrefour=11). The generalists (darty and Fnac at 34) follow a different and more complex scenario being much more challenged by new competition. 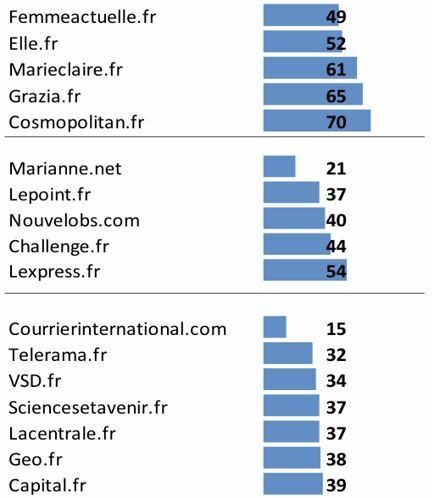 The biggest surprise comes from this new competition with large gaps between generalists (ex Cdiscount with 30) and the hyper specialized businesses (Showroomprivé with 3). Based on a representative analysis of a website’s online traffic, the S.D.I. indicator evaluates the contribution of traffic coming through “search” channels (all search engines) by distinguishing SEO/SEA levers. The measurements also take into account the brand notoriety that influence the nature of the searches (Brand/non brand) and therefore the search engine dependency of their global audience. Independently of the grade itself, it is also a useful indicator to compare the efficiency of web marketing campaigns in a given market. The evolution of the indicator in time should reveal the capability of a brand to progressively detach itself of Google to secure its online traffic. The goal of the Search Dependence Index is to establish a digital marketing performance standard. The methodology allows a monthly general and by field barometer, whilst identifying progress and therefore the pertinence of investments, communication actions and referencing. For each market, the Search Dependence Index allows to identify tendencies used to make recommendations, some of which to improve web site referencing, others that might suggest the necessity to change a strictly SEO approach to get out of the search engine dependency, mainly via a global media strategy allowing to improve website and brand awareness. *The numbers used by the Search Dependence Index are mainly based on data produced by SimilarWeb, Elexa and Semrush (Big data references for ranking web/mobile sites and data mining). Leading independent media agency in France and leader in SEO consultancy, My media Group was created in 2005 by Anthony Ravau and David Ringrave. After 13 years of existence, the company has acquired a unique know how in multiple fields of expertise, thanks to its integrated network of media agencies (My Media, ROIK, Geovista), Creative agency (Eggs) and SEO (Search Foresight), all leaders in their respective fields. With 130 collaborators and over 200 clients, My Media Group is the leader in e-commerce consulting, which has allowed the agency to reach a Gross margin of 20 million Euros in 2017 which represents 18% growth compared to 2016. Search Foresight, created in 2012, has become an SEO reference in France. The agency is specialized in strategic brand support, pure players, e-commerce and implementing inbound marketing actions, content marketing and optimizing for innovative and efficient search engines.